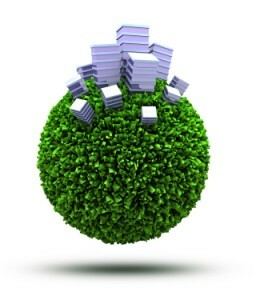 Sustainability is an important topic that affects every stage of hotel development and operation. Hotel Sustainable Development: Principles and Best Practices, published by the American Hotel & Lodging Educational Institute (AHLEI), provides hospitality professionals with a wealth of information about key factors to be considered when exploring sustainability. Editors A.J. Singh, international lodging, finance and real estate associate professor in The School of Hospitality Business at Michigan State University, and Hervé Houdré, general manager of the InterContinental New York Barclay, and leading sustainable development experts identify emerging trends and discuss how sustainability affects regulatory, policy, development, architectural, financial, and operational issues. Each chapter presents important elements in the implementation of sustainable development to provide valuable insights to hotel investors, developers, owners, and lodging operators. The overarching theme of the book follows John Elkington’s approach of the “Triple Bottom-line.” This is the most commonly accepted perspective of sustainable development by most businesses, as it comprehensively looks at sustainable development from three perspectives: People, Planet and Profit. The common theme across all the chapters is “value creation.” While value creation addresses all stakeholders in a hotel development or operation, the primary question that each chapter addresses is whether sustainable development metrics indicate financial incentives for investors, developers, owners, and lodging operators. Retailers, get ready for tablet computer shopping revolution! Shopping search engine Shopzilla recently published a research showing that the “tablet revolution”, as online shopping via iPads and similar tablet devices is set to climb high in popularity, just as it has done in the US. The research reveals that although the iPad was only launched 12 months ago, 6% of European shoppers already own a tablet and a further 20% are considering buying a device in the next year. The majority of owners said it was as easy to use for online purchases as a personal computer. This trend is set to mirror the US where the iPad is driving a revolution in e-commerce. A recent US Shopzilla study showed that 12% of consumers now have a tablet device, and a further quarter plan to buy one in the next year. In the European survey, an overwhelming 5-to-1 ratio name the iPad as their tablet of choice. The Shopzilla research was conducted in Europe’s three largest online retail markets: the UK, France and Germany. It also revealed that almost 80% of current tablet owners view their device as an addition to their technology arsenal rather than as a replacement for an existing device. When dining at new restaurants, trying to select a meal from an unfamiliar menu can often place patrons in a quandary. A new projection system in London’s Inamo restaurant, however, hopes to alleviate some of this uncertainty by displaying images of meals on diners’ tables as they browse the menu. Coffee is one of the world’s most valuable commodities, and global annual sales reach up to $70bn (£43bn). The small green bean that has its origins in Ethiopia has long been the brew of choice throughout Europe. Across the pond, office workers clutching towering cups of coffee are a routine morning sight throughout the US. Coffee is both a labour – and resource-intensive crop to grow. The Dutch NGO Water Footprint Network estimates that a standard European cup of coffee or espresso (125 ml) requires 140 litres of water – which is to say that one part of coffee consumes 1100 parts of water. Meanwhile, droughts in Brazil and Colombia, two of the world’s largest coffee producers, could spark price increases that, in the short term, may contribute to profits, but in the long term will force companies to develop programmes that ensure water conservation throughout their supply chains and especially at the source: farms. Much of coffee’s water footprint results from the beans’ cultivation. To that end, NGOs such as Rainforest Alliance and Fair Trade USA engage farmers across the globe to work together on reforestation projects. While “shade grown” coffee makes for fancy labelling, Rainforest Alliance’s work both preserves the watersheds that provide drinking water while preventing erosion. These programmes provide farmers modest financial returns that encourage them to plant more trees – and reverse the deforestation that resulted in part from the expansion of massive coffee plantations. Companies, like Kraft Foods, with its brands of coffee that includes Kenco, Gevalia, and Maxwell House, have promised to source more sustainable coffee certified by Rainforest Alliance and other third-party certification groups. Meanwhile, the global giant coffee retailer Starbucks has focused on its water performance within its stores. 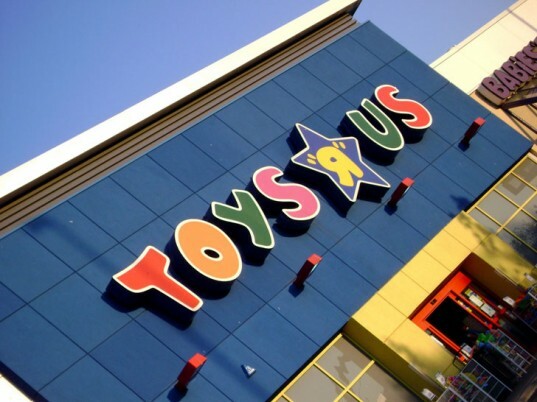 Three years ago the Seattle-based chain committed to a 25% reduction in water use throughout its stores by 2015. 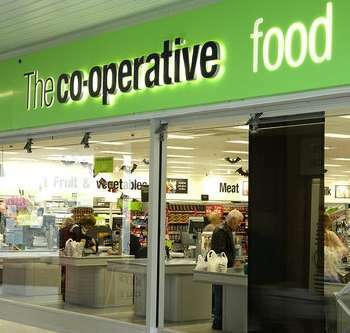 So far the company has reported a decrease in stores’ water consumption by 22%. Much of that decrease has resulted from discontinuing the use of dipper wells, fixtures that constantly stream water to clean utensils and eliminate food residues. That move alone cut Starbucks’ water consumption by about 100 gallons (378 litres) of water per day, per store. 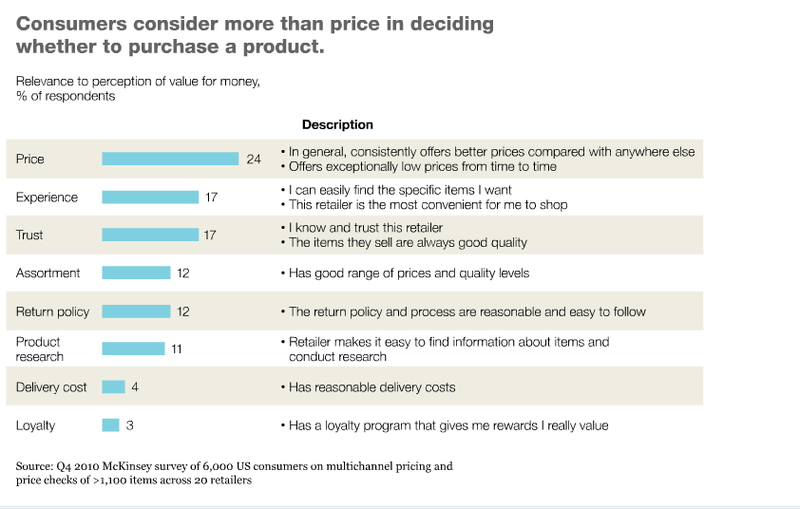 Multichannel marketing and value proposition: how do customers perceive value? 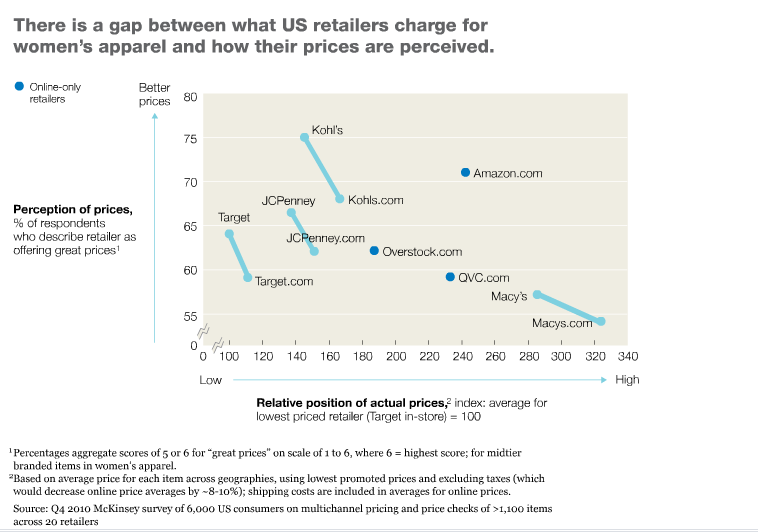 I was reading a very interesting article by McKinsey about the value proposition to offer to multichannel retail customers: it does not only competitive price but also the degree of trust they have in a retailer, its product assortment, and their previous buying experiences. The article goes on presenting two exhibits, both related to a U.S. based research whose results I think can be easily applied to many other other Western culture countries. – tactics such as free shipping, in-store pickup, generous return policies, and price-match guarantees are critical drivers of value perceptions. Where are Retail’s Hottest Emerging Markets? Wondering whether to open your new fashion store in China or in Brazil but you don’t have any clue? 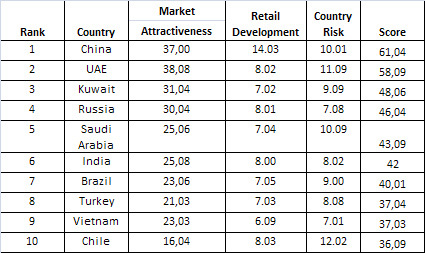 The annual A.T. Kerney’s Retail Index provides you with a detailed list of the most emerging countries for apparel retail. The A.T. Kearney Global Retail Development Index (GRDI)™ ranks the top 30 emerging countries for retail development and identifies windows of opportunity for global retailers to invest in developing markets. The GRDI is unique because it doesn’t just identify which markets are bigger or richer, but rather which markets are hotter and bursting with opportunity. The full annual report can be read at this link, but let’s take a quick look at what the report shows. China ranks as the most attractive emerging market for apparel retailers according to a study by global management consulting firm A.T. Kearney. Its first place ranking was driven by the country’s large population and the growing disposable income of the middle class. With its compound annual growth rate of more than 20 percent in recent years, apparel retail in China has grown at a rapid pace, and this trend is expected to continue for the next five years. China was followed in the ranking by two Middle East Countries, U.A.E. and Kuwait, then by Russia and Saudi Arabia. The United Arab Emirates holds the second position in the 2011 Apparel Index, driven by a population with a high disposable income and immense fashion consciousness. 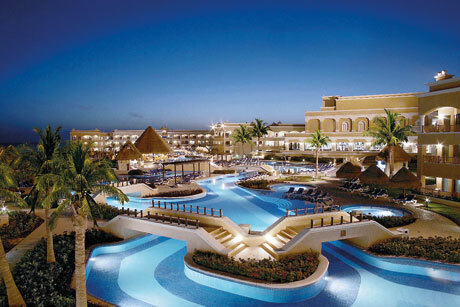 The expatriate populace and tourism in particular are driving forces of consumption in this market. Additionally, the UAE is a regional commerce center in the Middle East, and is a preferred market for entering the Middle East as well as testing new products and retail formats. Kuwait is ranked #3 in the Apparel Index. Key factors driving retail growth in Kuwait are a favorable long-term economic outlook, a sophisticated consumer base with high levels of disposable income and fashion awareness, more women entering the workforce, and a significant expansion in retail real estate. The gross leasable retail space in Kuwait has expanded from 345,000 square meters in 2006 to 1.15 million square meters in 2010. 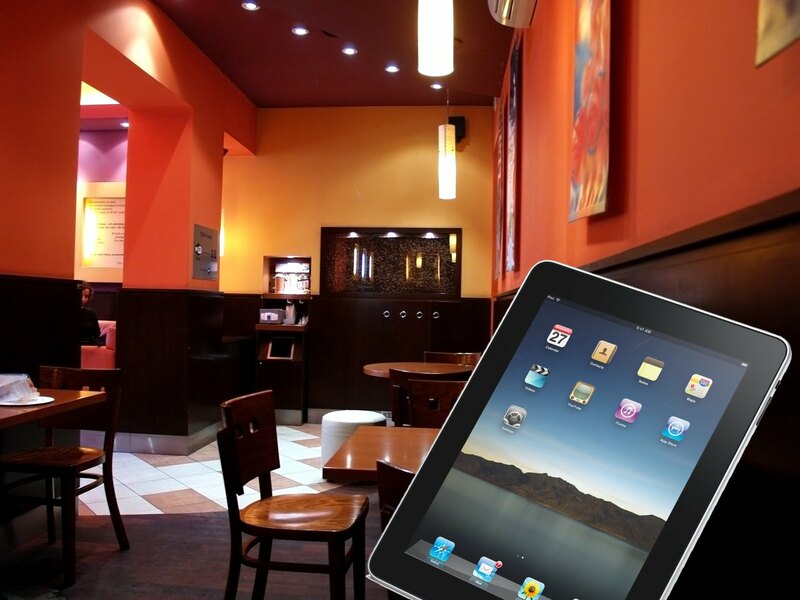 A couple of days ago Appolicious published an interesting article about the increasing number of mobile Apps for fast food restaurants and their being mostly not useful. Many are the apps listed, from Taco Bell to McDonald’s. All these chains offers accurate information on the internet but extremely bare bones restaurant locator apps. In McDonalds’ defense, at least their app offers information on getting a career with McD’s, along with some nutritional information. Burger King’s lack of an app caught everybody by surprise because they have been so good with marketing their products through games via the Xbox 360 for years that you expected something that appealing on the apps side too. Useful functionalities and entertainment are a must for nowadays apps, especially in a field – the one of Ho.Re.Ca – where interaction and service have always been a key factor to achieve a high customer satisfaction. Add that customers now are spoiled with information: they love to get informed about the brand and the goods they are going to purchase, about the environment where they are sitting, about the other customers comments and opinions about the “experience” they are going to go through.